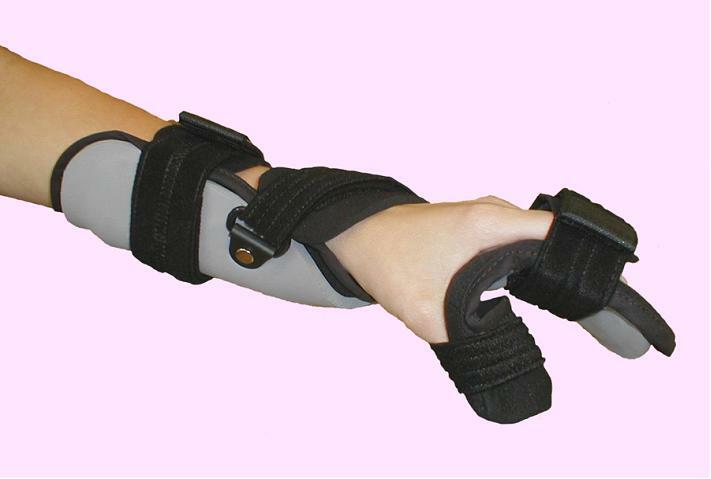 Advanced™ Line of Static Dynamic Hand Splints. Consisting of 6 Therapist and patient friendly products. Foam/Wire construction allows for adjustment to suit patients’ needs. May be re-shaped if necessary to match the patients’ progress without making a new splint or complicated adjustments with a heat gun. Sturdy Stainless Steel wire in wrist section, connecting the Hand and Forearm, allows therapists to properly shape the splint in Extension/Flexion, Supination/Pronation and Radial/Ulnar positions. Straps ends for simple, strap length adjustment. Easy lift-off hook. 2 3/4" to 3 1/4"
3 1/4" to 3 3/4"
Warning! : To be dispensed by healthcare professional. Single patient use.